Richard Buchanan, PhD, is a professor of design, management, and information systems. Before joining the Weatherhead faculty in 2008, he served as head of the school of design and then as director of doctoral studies in design at Carnegie Mellon University. While at Carnegie Mellon, he inaugurated interaction design programs at the master’s and doctoral level. Dr. Buchanan is well-known for extending the application of design into new areas of theory and practice, writing and teaching as well as practicing the concepts and methods of interaction design. He argues that interaction design does not stop at the flatland of the computer screen, but extends into the personal and social life of human beings and into the emerging area of service design, as well as into organizational and management design. In keeping with this conviction, Buchanan has worked on the redesign of the Australian Taxation System, the restructuring of service products and information for the U.S. Postal Service, and other consulting activities. 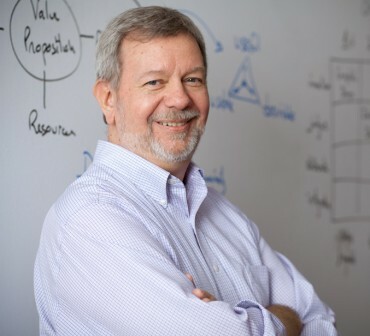 At Weatherhead, he has pursued research into “collective interactions,” focusing on problems of organizational change and the development of management education around the concept of Manage by Designing. His most recent projects involve strategy and service design, including patient experience, information services, and public sector design. Buchanan is a widely published author and frequent speaker. His books include Discovering Design: Explorations in Design Studies, The Idea of Design, and Pluralism in Theory and Practice. He is coeditor of Design Issues, the international journal of design history, theory, and criticism; and has served for two terms as President of the Design Research Society, the international learned society of the design research community, with offices located in the U.K. In 2009, Buchanan received an honorary doctorate from the Faculté de l’aménagement (Environmental Design Faculty) at the University of Montréal.